Are you getting your payroll right? If you hire staff, payroll is a very important job! Not only for compliance issues – nobody wants grumpy employees because they haven’t been paid correctly! Here’s some common errors that we come across for you to look out for when you’re preparing payroll for your staff. Has annual or personal leave been taken? Does your employee have enough leave accrued? Are you prepared to take their entitlements into a negative balance, or will it be leave without pay? Is leave loading applicable? Are leave entitlements being calculated at the correct rate? Generally four weeks annual leave per year, 2 weeks personal/carers leave per year? Do the entitlements need to be adjusted? If your payroll is set up to record a number of hours per pay period and your employee works less, you’ll need to make an adjustment for the hours that they actually worked, rather than what you expected them to work. What’s the age of your employee? This can have implications on their pay rate and superannuation eligibility. Is your employee under 18 years of age? This has superannuation implications – they must work 30+ hours in a week, AND earn over $450 in the month to be eligible for superannuation. Are you paying the correct employee? Do you have employees with the same or similar surnames? Check to make sure you’re paying the correct person. Are your employees entitled to be paid allowances? Are these being correctly recorded in payroll? Was there a public holiday in the last pay period? Did they work that day? Are they entitled to public holiday penalty rates? Don’t just assume what days are public holidays – this Easter the public holidays were Friday, Saturday and Monday. Many were surprised that Saturday was a public holiday. Fair Work Australia has a list of official public holidays for each year. If you record Jobs or Categories, have they been applied correctly? Did you know that there is certain information that needs to be on your employees payslip? Such as your ABN, the employee’s payroll classification, their accrued personal leave hours, etc? Make payroll simple for yourself! Do you have employee timesheets that are easy to understand and translate? Do you use an electronic payroll system such as Xero? Do you transfer funds directly to your employee’s bank accounts? Do you upload payment files to the bank? Do you email payslips to employees? Have you got complete and correct documentation from your employee? TFN Declaration Form; Super Choice form; personal details such as bank details, address, next of kin, etc. Have you completed the employee section of the TFN Declaration and sent the original to the ATO within the specified time? Have you provided your employees with a Fair Work Information Statement? Have you kept appropriate records? Have you paid your employee’s superannuation? Are you under an Award? Are you paying the correct rate? Have you got the classification right – casual, part time, full time, subcontractor? Do you have appropriate written policies and procedures in place? Are you familiar with the National Employment Stanards? So there is a lot to think about when employing staff, and ensuring that your payroll responsibilities are being handled correctly. 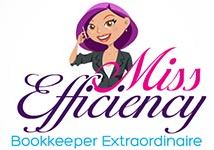 If you’d like any assistance, Miss Efficiency Bookkeeping handles payroll for a number of clients in many varied industries and we’d be happy to help you with yours! Book your obligation free consultation today.